Publisher: Geoffrey Nevine July 19, 2017 This information is provided solely as a guideline. NEED TO LOSE WEIGHT AND HAVE THAT HEALTHY AWESOME GLOW?? 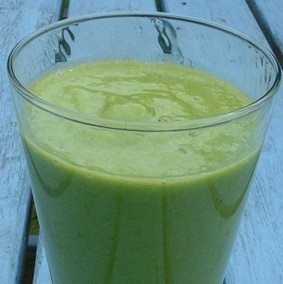 then have this for breakfast and feel happier and healthier. Step 1: Blend your mango and banana with coconut milk. Step 2: Add ginger and spinach and blend until nice and smooth. Add ice cubes if you desire.